The loss of Jerusalem and of the whole Holy Land at the hands of the Turks, would have marked a very negative moment for the Order if it were not for the “Domus”, which remained like occidental islands in the boundless Muslim world. In the hope of reconquering the Holy Land, the Order moved to Cyprus in 1291, where by concession of Henry II of Lusignan, King of Jerusalem (later King of Cyprus), too established its headquarters in the town of Limassol. From the Knights of Saint John the King of Cyprus founded the Royal House Guards, who marched into history as the “Knights of Sword and Silence”, i.e. the Sovereign Order of Cyprus. It was on the sea that the legendary story of the Order would take place from that moment on. On their ships, flying the red flag with the octagonal white cross, the Knights would defend the caravans of pilgrims heading to the holy places, and attack the Muslim fleet without truce. In 1308, commanded by their Grand Master Foulques de Villaret, the Knights conquered Rhodes where they would stay for 214 years, and build the only stronghold against Islam. In Rhodes the Knights were sovereigns, minted money, and after the suppression of the Templar Knights, received their huge patrimony and their vast possessions through the provisions of Pope Clement V, expressed in his bull “Vox in excelso” of 23rd March, 1312. In this way, the Order, by right and “de facto” became Sovereign. That sovereignty, universally recognized, remain constantly inviolable, even after the loss of Rhodes and Malta. The island was filled with churches, schools, shops, and mansions surrounded by imposing fortification works, ancient masterpieces of the military engineering of that time. Its comfortable hospital, jewel of the Gothic art, became famous in all Europe. The Grand Master Villeneuve reorganized the Order and gathered men speaking eight different languages. The Knights were living and had their meals together in their mansions, modestly called Auberges (Inns). In 1344 the Galleons of the Order, backed by the fleet of the “Christian League”, conquered Smyrna and stayed there until 1402, when they were overwhelmed by a horde of Mongolians. 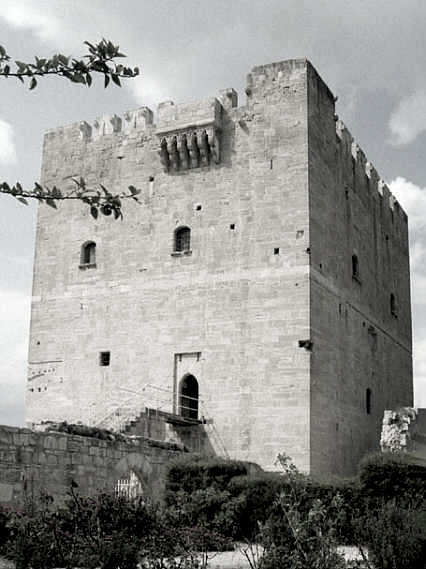 In 1440 eighteen big Turkish galleys unsuccessfully attacked the well-fortified harbor of Rhodes. They would return again four years later without any success thanks to the courage of the 18.000 defenders of the island guided by the Knights of the Order. In 1453 after the loss of Constantinople, the Turks invaded Europe threatening to destroy not only the Christianity, but also what Christianity represented in terms of civilization. From that moment on the actions of the Order became more and more prompt and decisive in containing the Islamic wave that was invading Europe, threatening to sweep away centuries of history, and to cancel the ideological patrimony that Christianity had exalted as universal values. 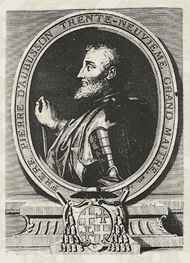 In 1480 Grand Master Pierre d’Aubusson had to face 100.000 infidel men sailing in 150 vessels. The battle was terrible; thousands of men were wounded or killed on either side, among them the son-in-law of the Sultan Mahomet II. Finally the Knights defeated their enemies who streamed back towards their camp in panic stricken retreat. Pierre d’Aubbusson was appointed Cardinal. The new Grand Master was Phillip de Villiers. Meanwhile Christianity was torn by Luther’s heresy and by the schism of Henry VIII. On the 24th of June 1522 the fleet of the Sultan of Constanti- nople, Soliman the Magnificent, commanded by Mustafa Pasha, threatened the coast of Rhodes with 700 vessels and 200.000 men, faced only by 5.000 trained soldiers and few thousands armed islanders commanded by the Knights. The siege began on 26th of July. The battle was extremely violent and the Sultan, fearing to be defeated, withdrew his troops. Of the 650 Knights of the octagonal white cross only four remained unhurt. 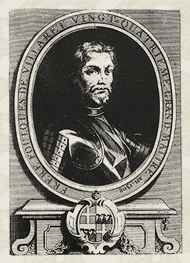 But a betrayal turned their victory worthless: the Chancellor of the Order, the Portuguese Amaral, who hated Villiers because he had been preferred to him as Grand Master, informed the Sultan about the weak point of the defense. The siege resumed and the Knights kept on resisting successfully. The traitor was identified, forced to admit his misdeed, degraded and condemned to ignominy. 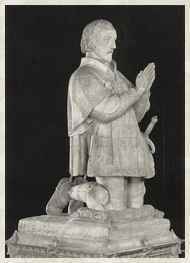 After six months, the Grand Master, who did not hope for victory anymore, dictated his peace terms to the Sultan, who admired the unfortunate courage of the Knights, and on the 24th of December 1522 accepted the capitulation and granted them the honor of the arms. The churches will not be desecrated, the islanders will be free to go away, and the Knights will be allowed to take away their archives and treasures. The surviving 160 Knights from the 650 initially established in Rhodes and 5.000 natives of Rhodes, departed. On the 2nd of January 1523 at five o’clock in the morning the survivors sailed from Rhodes. The convoy consisted of three galleys, St. Mary, St. Catherine and St. John, followed by the galleon St. Bonaventura, by 11 big vessels and 14 small ones. The Grand Master was the last one to board. The loss of Rhodes, once again, cast doubts on the very existence of the Order because of the lack of a permanent seat. With the fall of Rhodes every hope of Christianity crumbled and the Crescent Moon waved over the Mediterranean Sea. It was a tragic moment, but the Order did not lower its flag. On the 30th of April 1523 the sorrowful convoy arrived to Messina. Provisional headquarters of the Order were Civitavecchia, Viterbo, Nice and Villafranca.